This post has been in my 'drafts' folder for over a month. I don't really know why I didn't hit 'publish' before now. 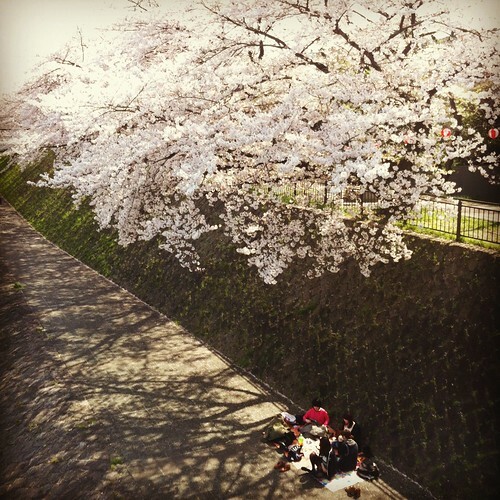 I was feeling nostalgic about the cherry blossom season in Japan when I wrote it. 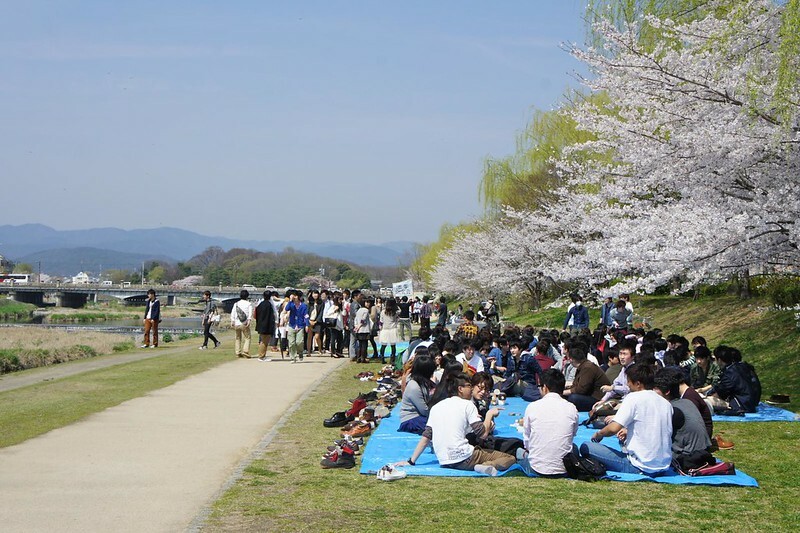 By now, the cherry blossom front has already passed across all of Japan except for Hokkaido, the northern region. 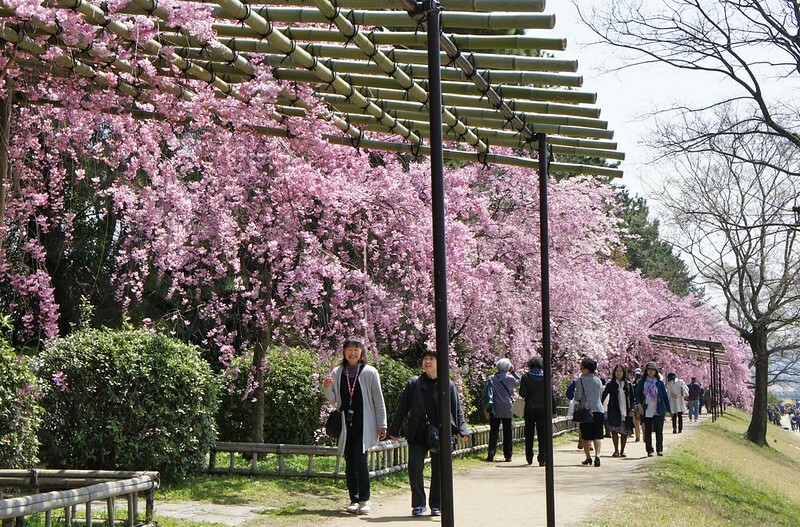 Cherry blossom season in Japan is so special, it really can't be exaggerated. One of the things I appreciate most about Japanese culture is the way the changes of season are really celebrated with very specific traditions. The short, spectacular sakura bloom represents the impermanence of life, which in turn is a Buddhist notion. My mother and I went to the Kansai region of Japan last spring with the goal of being there for the peak cherry blossom bloom. 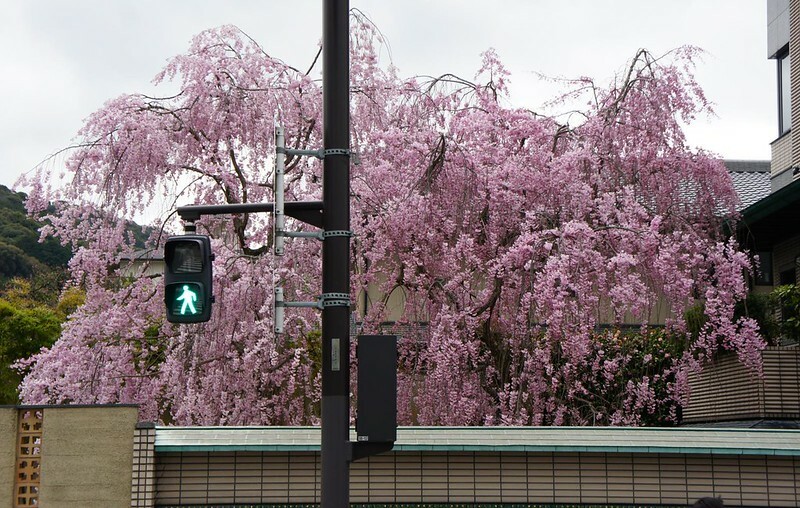 We had to book our flights several months before the sakura forecast had been narrowed down so as the trip was approaching, I was making myself miserable checking the daily reports for Kyoto. Somehow we arrived in Kansai right at the crest, a day or two before the week-long peak bloom (calculated to be when 90% of a tree's buds have opened). We were very lucky as last year's timing was well off the average bloom date for many other parts of Japan. Even though my mum is a garden and flower fanatic and very knowledgeable about all things botanical, she was astonished to see these giant clouds of pink froth all over the landscape. 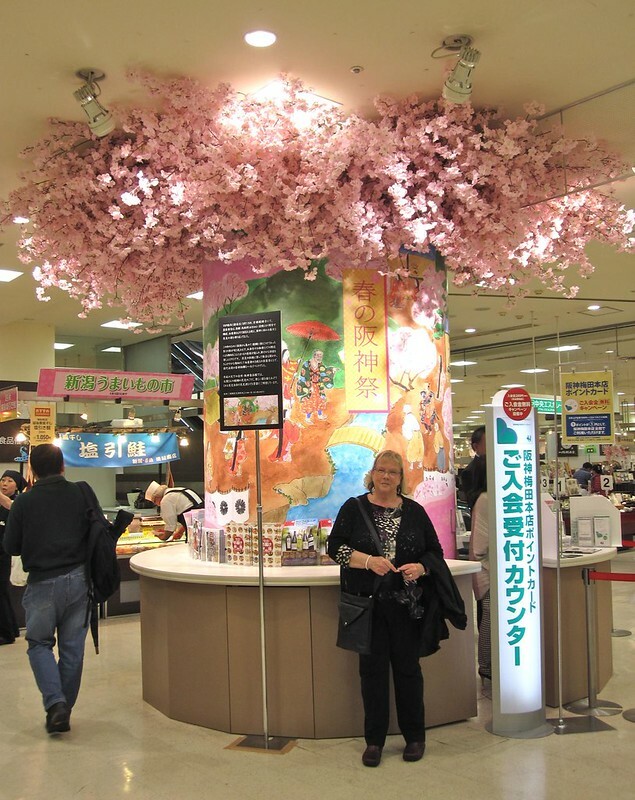 She absolutely did not expect this cherry blossom thing to be so momentous. -Take a stroll along a riverbank or canal. -Have a picnic with friends (an annual tradition for many clubs and social circles). 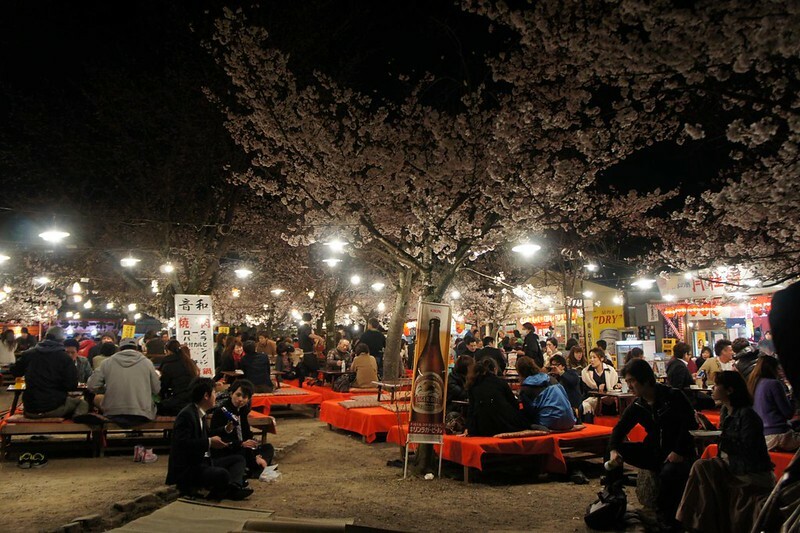 -Enjoy a beer and food stall grub at specially set-up tables. There are plenty of special displays, events and seasonal products to mark the brief sakura moment, too. We spotted this at Hanshin Department Store in Umeda: they've turned an information kiosk into a blooming tree! The red lettering reads 'Spring Hanshin Festival'. 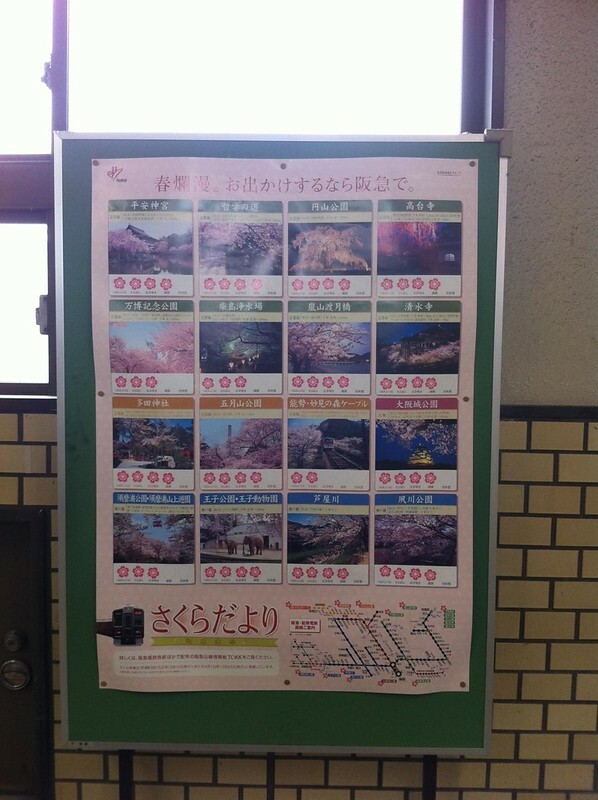 This poster at a train station shows the best blossom viewing spots accessible from the Hankyu Railway network. Someone had been adding flower stickers to show the progress of the blooms. 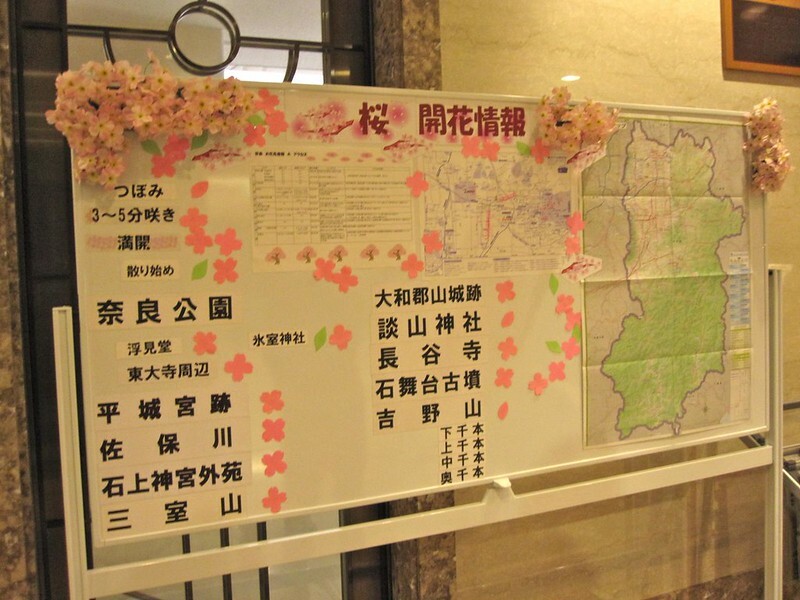 At Hotel Nikko Nara, the staff put up a city map highlighting their recommended blossom viewing spots. 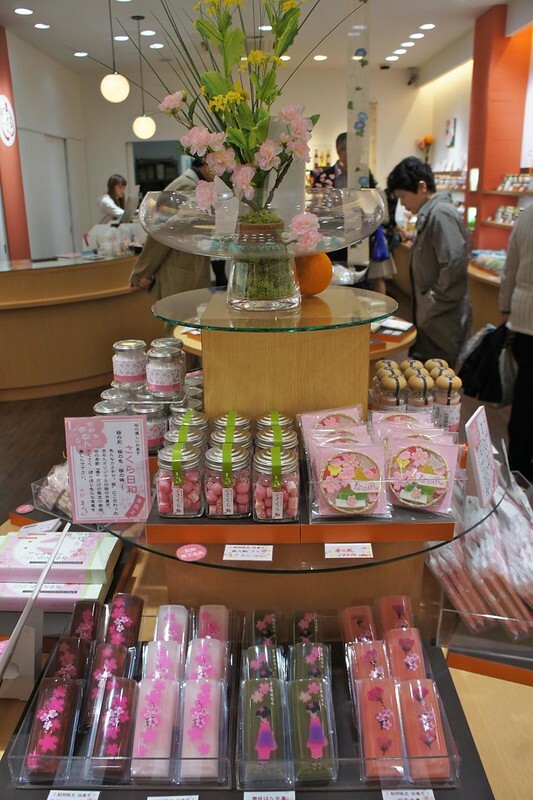 Here is a selection of sakura candies at a traditional sweets store in Nishiki Market, Kyoto. The fast food companies get in on the seasonal fare, too. To my taste, "sakura" is an extra-sweetened artificial cherry flavour. Sometimes, it is enough to simply make something pink, though.